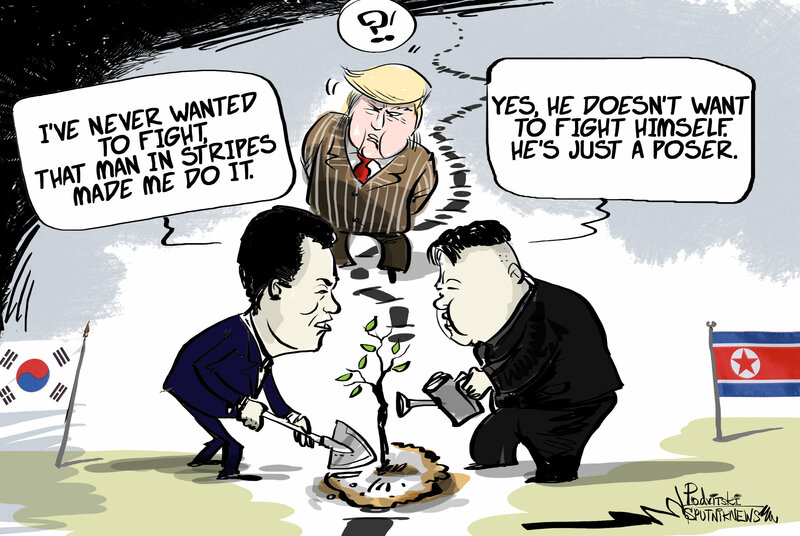 While the whole world is looking forward to the historic meeting between the US president and the North Korean leader due in May, South Korea’s head of state Moon and Kim are set to literally grow the seeds of intra-Korean friendship at the border. On Friday, South Korean President Moon Jae-in will greet Kim Jong-un on the military demarcation line in a border village dividing the two Koreas. There, the top officials are expected to plant a palm tree, using soil and water from both sides of the border.